Many years ago, Panshanger was the name of a large country house located within the grounds of what is now Panshanger Park. The house had an orangery, nursery, garden wall, stables and cottages which all still remain and are listed by English Heritage. Sadly, Panshanger House itself was demolished during 1953-54. Since that time, the land has been used by a succession of companies who have extracted various minerals from the ground. 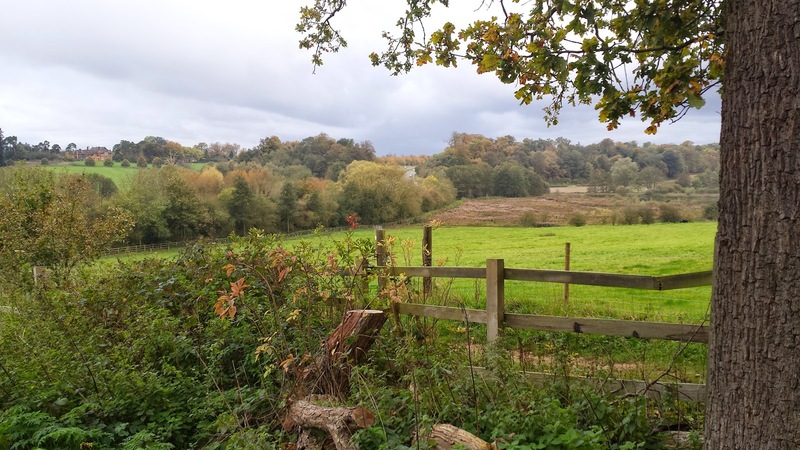 As part of an agreement laid down in the 1980s, they (or any subsequent company) were obliged to create a country park for the people of Hertfordshire once the extraction had come to an end. 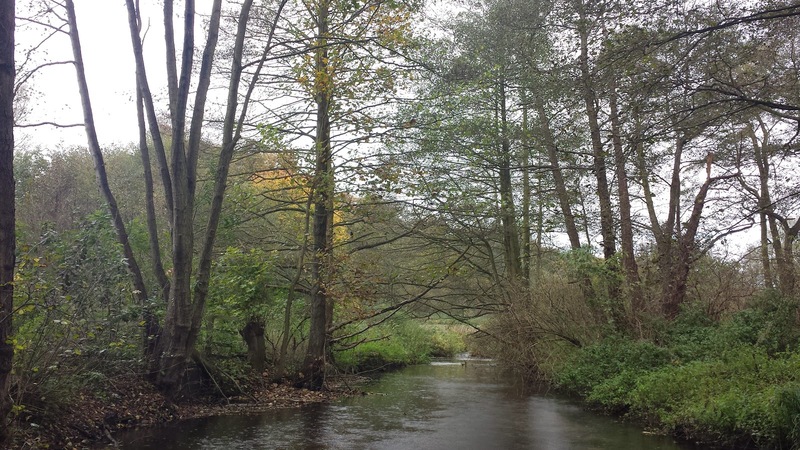 As it stands, there is still some extraction taking place on the site, but one third of the 900 acre country park was opened to the public on 31 March 2014. 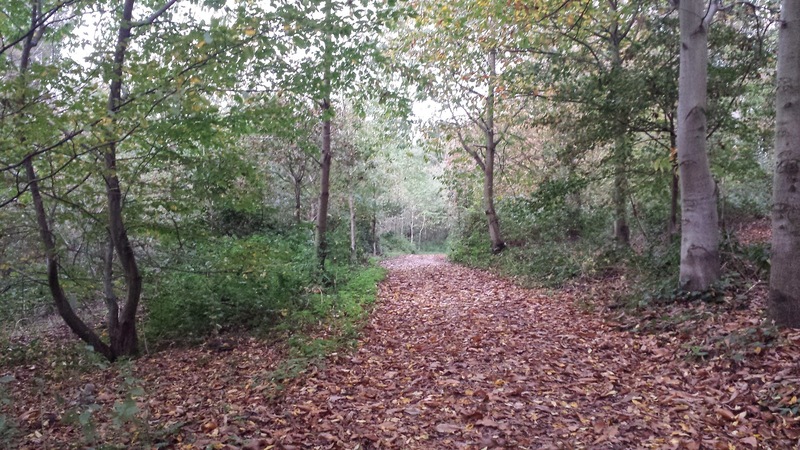 The fact that the park, which is recognised by English Heritage as a landscape of national importance and is grade II listed, is open at all is largely down to the hard work of the 'Friends of Panshanger Park' who have been able to work with and influence the current owners 'Lafarge Tarmac' to move the Country Park part the of deal forward. 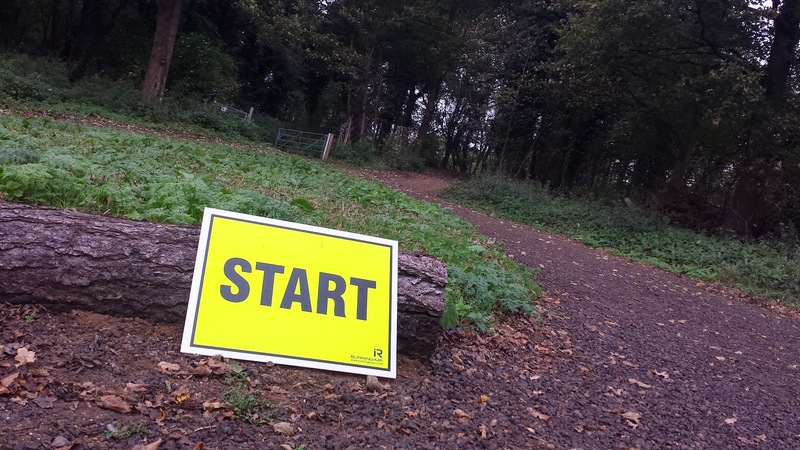 Fast forward to October 2014 and Panshanger parkrun was born. 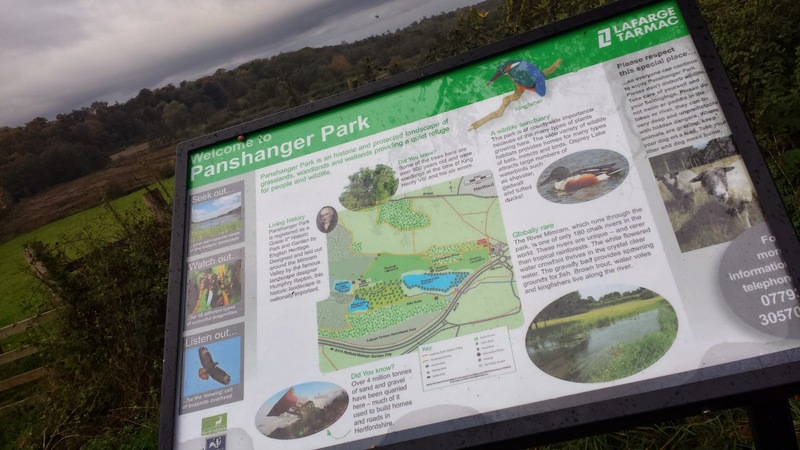 Again the Friends of Panshanger Park were instrumental, but a special note should be made to acknowledge the financial contribution made by Lafarge Tarmac, who donated the funds required to make Panshanger parkrun a reality. A famous feature of the park is the 'Panshanger Great Oak' which was chosen in 2002 as one of Britain's 50 greatest trees, in recognition of the Queen's Golden Jubilee. There are various versions of the history that surrounds this mighty tree, which has a girth of 7.60 metres. It is believed to have been planted by Queen Elizabeth I, but different sources have estimated different ages of the tree. Some say that the tree is 400 years old, while others say 600 years old. If Queen Elizabeth I did plant it, then 400 years would be about right. Either way, it is widely reported that the tree is the largest 'maiden, or clear-stemmed' Oak in the UK. Its acorns and the acorns of its acorns' oaks (does that make sense?) have seeded some subsequent Royal Trees. The sad thing is that the tree is located in part of the park that had not yet been opened to the public so when I visited it was not possible for me to see it. I've since been informed that the area is now open to the public (thanks to Maria (Running Cupcake) for the info). 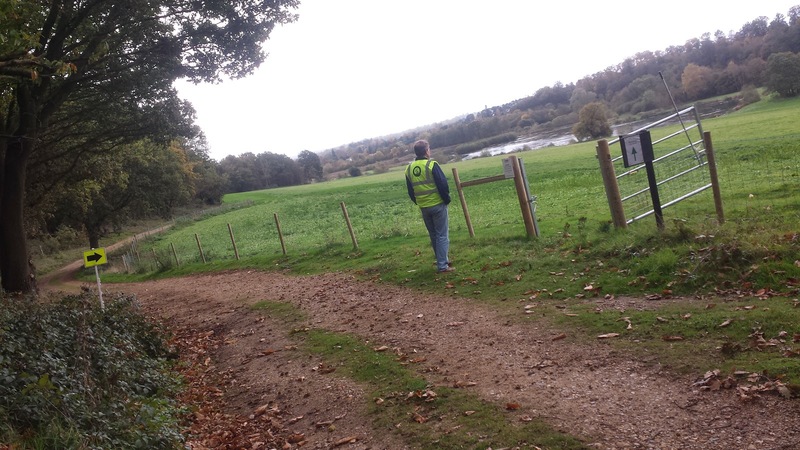 The park has a car park right next to the start line, but as noted on the Panshanger parkrun course page, this car park is for emergency access, disabled runners and other users of the park - please respect this and follow the instructions for the alternative parking areas. I used the 'Old Hertingfordbury Road' - there was ample space and I was only a couple of minutes away from the start line. If travelling by train, the closest stations are Hertford North (just over 1km away) and Hertford East stations (just over 2km away) - perfect for a warmup jog. It is worth bearing in mind that at the moment this venue has no amenities. No cafe, no toilets - it's just nature! There is a portable coffee van in the car park for the duration of the event, so don't worry, the post-run tea/coffee is still possible! As I always arrive at parkrun very early, I spent some time looking around the course and taking some photos for the blog and chatting to anyone that would listen to me. 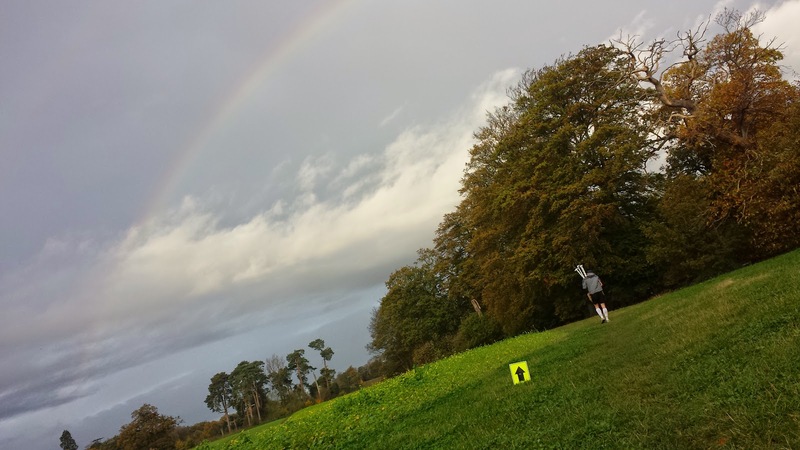 Then before I knew it I had bumped into a volunteer called Craig who was putting arrows out around the course, so I joined him and helped put out the arrows and the kilometre markers where we were treated to a rainbow (I have a break from setting up Dartford parkrun and end up doing the same thing somewhere else - I really must love it!). 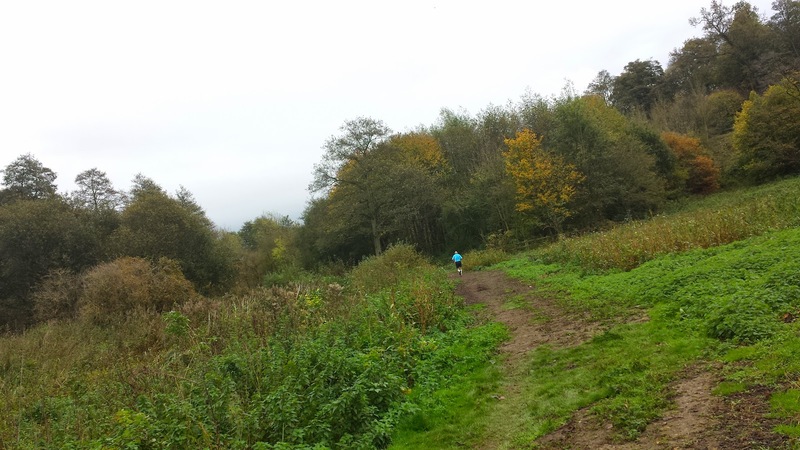 The run itself starts in the corner of the car park and consists of one single 5 kilometre loop (although technically it's probably a point-to-point) through the ancient woodland, trails, tracks, fields, grass, and (if you're lucky) mud! Trail shoes are the order of the day at this venue. The first kilometre starts with a short, sharp uphill and then undulates along dirt paths and tracks but has more ups than downs, being the first it doesn't quite hurt as much as it would later in the run, so a decent pace is possible throughout this section (I paid for it later). At one point the trees to the left clear, providing a fantastic view across the Mimram Valley and Osprey Lake. The runners spend a fair amount of their time on grass during the second kilometre. The course profile has levelled out by that point until at around 2.5 kilometres the course leaves the grass and runners spend a few hundred metres on a dusty, slightly pot-holed access road which also takes them downhill towards the next marshal point. It levels out before the runners are directed to their right and through a gate (which is held open by a bungee cord to keep the flow going). Once through the gate, the course continues downhill on a farm-track into the Mimram Valley where the runners pass the 3 kilometre marker and are directed through another gate held open in the same way. 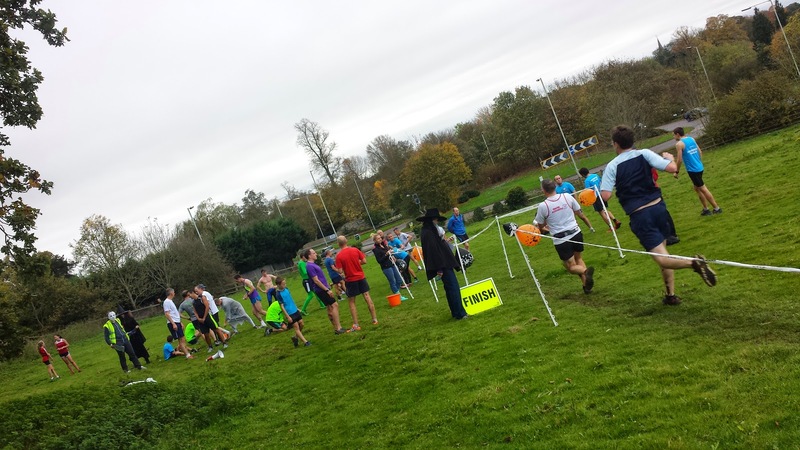 The runners now pass a farmhouse and the run's second water feature can be found on the right. This is Riverside Lake, and guess why it is called that.. 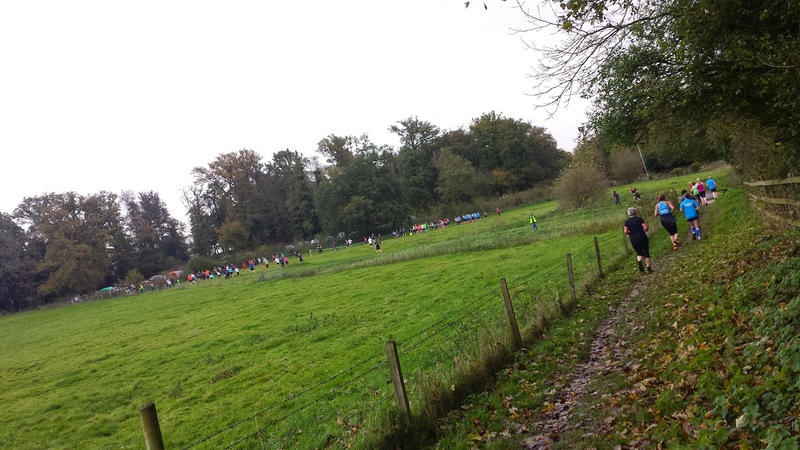 Seconds later the runners find out as they make their first crossing of the River Mimram. At this point the runners are now running alongside Kings Lake. 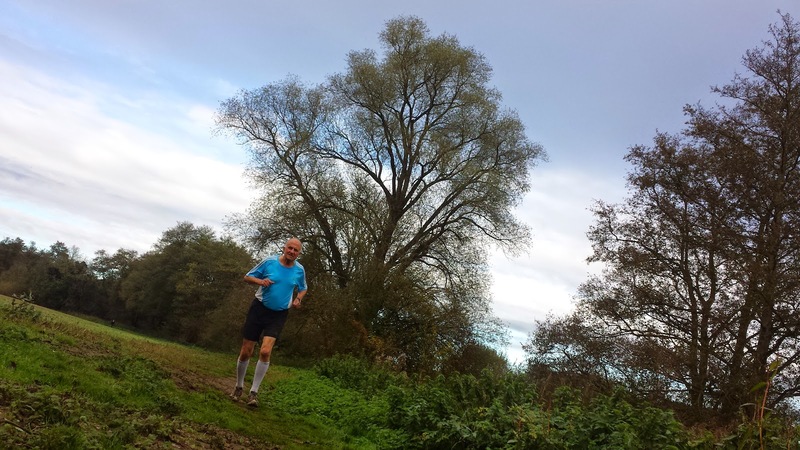 I found myself looking straight ahead at the very steep incline in front of me and thinking 'please, no', then to my relief I spotted a marshal directing runners to their left which meant running along the contour lines rather than across them. Phew. Underfoot at this point was grass and dirt paths which were quite uneven and I could see that the ground was becoming muddier. My GPS shows some mild undulations around here, but I was now just too knackered to take it in. 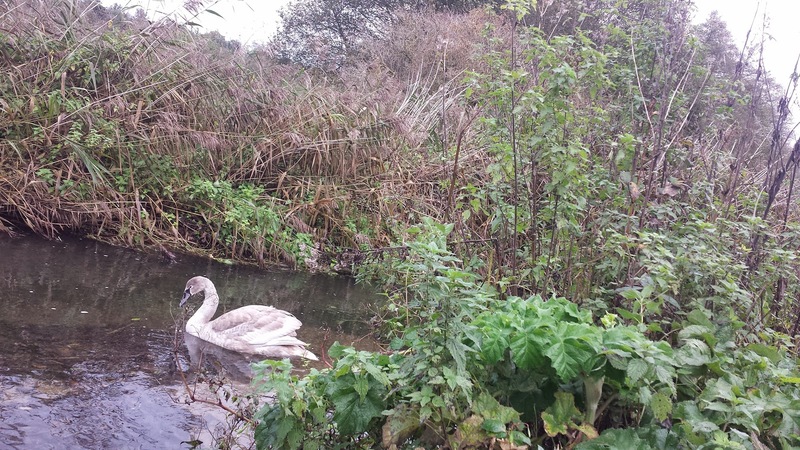 All I remember is that an angry swan hissed at me from the river as I passed. I was now on the other side of Osprey Lake and had just entered the last kilometre of the run. The fifth and final kilometre takes the runners alongside the south bank of the river before entering one of the funnest twisty sections I have run in a long time. First is a large sweeping left hander, which leads into a tighter right hander. 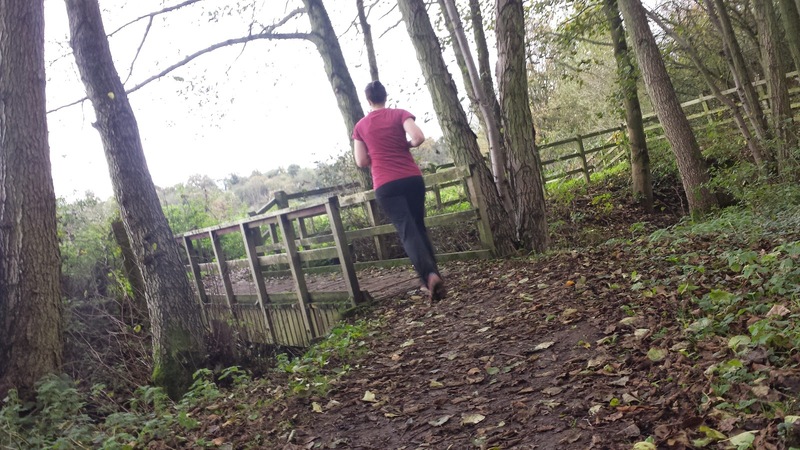 Here the runners should watch out for some protruding tree roots before swinging left and over a wooden footbridge before immediately turning right and then left again. A-MA-ZING! At this point the ground underfoot was now considerably softer and shortly after, another wooden bridge is negotiated. Runners that look up at this point will be able to see cows to their left (unless they moove somewhere else, of course) and the finish line a little further on, but it is a cruel, cruel view. The path soon comes to and end with a left hand turn on concrete path that seems to no longer have a purpose and all that runners are left with is a short incline before turning right for the final dash for the finish. However, inside that last short incline a beast was hidden - it stripped my legs of all of their running power and I plodded my way up it in a manner that resembles the shuffle runners do at the end of 26.2 miles, not 5k. However, my pain did not last for long and that last dash for the line was a relief. It's not often that I feel like vomiting at the end of a parkrun, but this one really had me feeling that way. I got down on all-fours on the grass and was expecting to start heaving - thankfully it passed. It was at this time that I thought back to some advice I had been given by a fellow uber-tourist to save a bit for the last hill. I then got my barcode and finish token scanned by Craig, the volunteer who I had helped with the signage before the run, before heading back out onto the last section of the course to take some more photos. 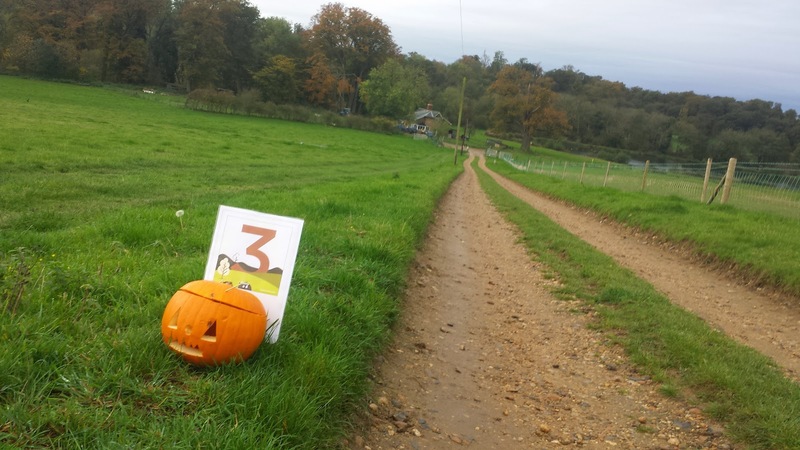 So that was Panshanger parkrun event 4. 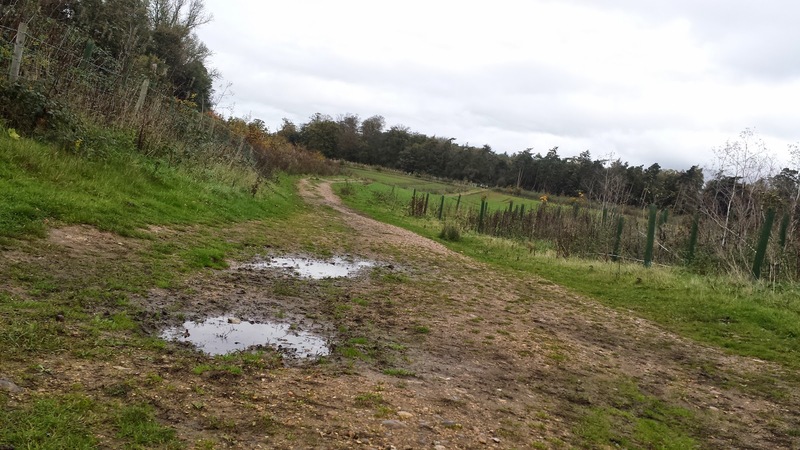 The course (when dry) has some tougher sections but overall it is still a fairly fast course. When it is fully consumed by the delights of the wet (and muddy) winters we have had in recent years, it'll without doubt be a lot tougher. It's very enjoyable to run and has some great views. 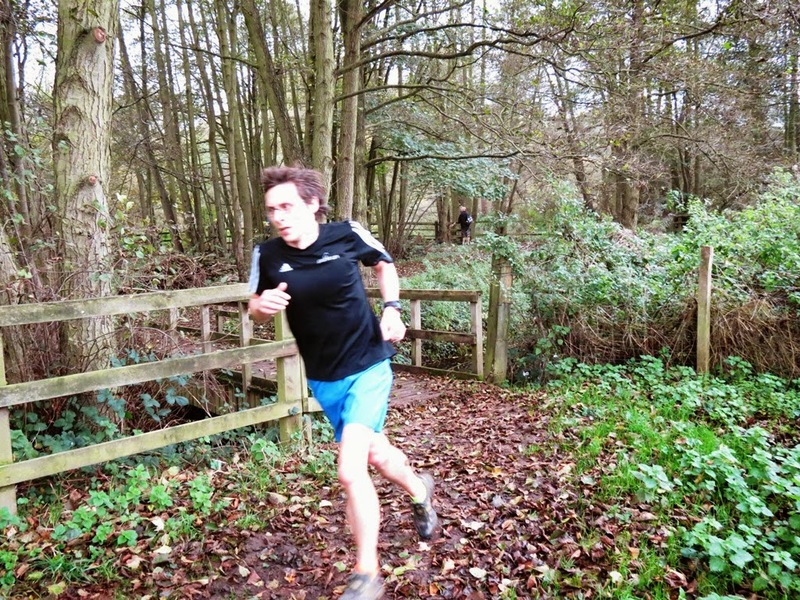 Regular runners here will have the pleasure of watching the park and course evolve as the seasons change. Yet again I have visited and learned a little about a place that I would never have visited had it not been for parkrun.